Malouf & Associates is devoted to the representation of victims of accidents and concentrates its practice on serious personal injury matters. If you are looking for a personal injury law firm with the experience, skill, resources and proven track record of success to handle your case, look no further. 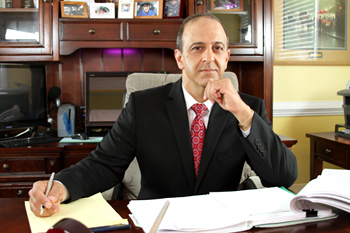 Malouf & Associates is a personal injury law firm. If you are hurt, we can help. Whether you are injured in an automobile accident or a work-related accident, or anything in between, we have the experience, knowledge and record of results to be your law firm. If you are injured due to the negligence or fault of another, you may be entitled to compensation for your economic and non-economic damages. Economic damages typically include medical expenses, lost earnings and other out-of-pocket losses. Non-economic damages usually include pain, anguish and suffering, disability, permanency and loss of enjoyment of life caused by you injury. There are many different kinds of personal injury claims and each one is different. Depending on the type of claim, there are different theories of liability as well as damages. We handle virtually every kind of personal injury case there is. Many of these matters include strict timelines and reporting deadlines. It is important to obtain legal counsel as soon as possible. The firm’s primary office is located in the Art District in Hayttsville adjacent the nation’s capital Washington, D.C. We also have offices in Northern Montgomery County in the City of Gaithersburg, Maryland; Fairfax, Virginia. In addition, we regularly meet with clients in their homes or in the hospital as needed. We are licensed in Maryland, Washington, D.C. and Virginia. We also accept select cases in other jurisdictions nationwide.